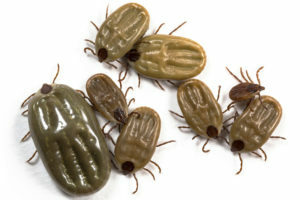 Fleas and ticks are a source of annoyance and potential health threat in every part of the US. While the seasons will affect the activity of these insects, it is possible to pick up fleas or ticks during most of the year. This is especially true because these insects can thrive in our homes. 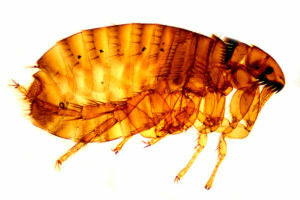 Dogs and cats which spend time outdoors are at equal risk of picking up fleas. However, because dogs spend a larger amount of time outdoors, they are at a higher risk than cats for ticks. While not as common, fleas and ticks can also enter homes from visiting pets and on people’s clothes. Your dog is both the home and food source for fleas and ticks. Once a flea gets on your dog, it will remain there until it is killed by a flea product or dies naturally. Just like the adult flea, the adult tick will remain on your dog and eventually produce eggs while feeding from your dog. Ticks however, go through various life stages. 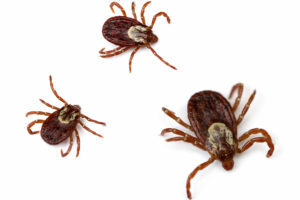 Ticks will leave the host and “moult” from one stage to the next. 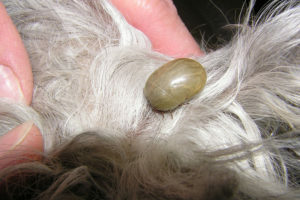 Ticks transmit the most disease to dogs and humans in the nymph and adult stages. If your dog is not on a preventative or adulticide (product to kill fleas and ticks), it is possible for dog and possibly your home to develop a serious infestation within just a few short weeks. Because dogs spend so much time outdoors, ticks are a common problem and a big concern for owners. If left untreated, fleas and ticks can become a serious nuisance and potential health problem for your dog. Ticks feed on the blood of the host, and use tiny but sharp teeth to embed themselves firmly into a dog’s skin and tissue. Because they penetrate into the bloodstream, ticks can also spread blood-borne illnesses. 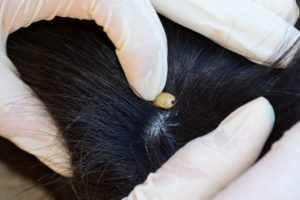 The larvae and nymph stage of the tick are very small and can easily be missed. 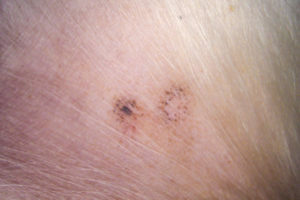 The adult tick is about 3mm and is visible to most. 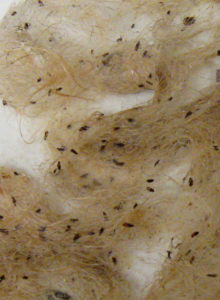 The larvae and nymph are about half that size and difficult to identify. 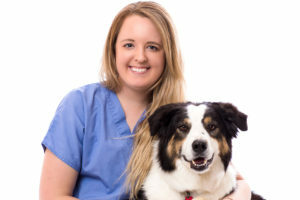 Since 1981, the Animal Clinic of Billings has dispensed invaluable guidance about flea and tick prevention and medicines for dogs to dog owners in the Billings area and throughout Montana. After all, our state has the perfect mixture of geography, climate and natural landscaping that fleas and ticks find very attractive. Because of this, it is important to take a proactive approach to prevention. Taking preventive measures before a problem arises can save you time and money, while significantly improving your dog’s health and well being. If you suspect your dog is suffering from the effects of fleas and ticks, we recommend scheduling a veterinary appointment immediately. Our veterinarians and support staff have extensive experience treating fleas and ticks for dogs. We know flea and tick infestations can be frightening and overwhelming, but we assure you they are treatable. Schedule an appointment today to discuss flea and tick treatment options for dogs with one of our veterinarians.